She was a self-proclaimed "proud Yorkshire lass" whose work for charity took her around the world and whose political success led her to Westminster. 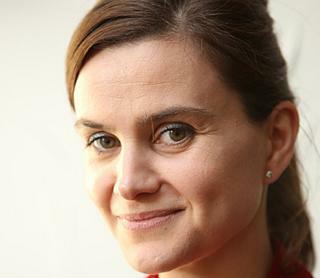 Jo Cox MP, who has died after being shot and stabbed in her constituency in Birstall, West Yorkshire, was elected as MP for Batley and Spen in the 2015 General Election. The 41-year-old mother-of-two increased Labour's majority to 6,051. Prime Minister David Cameron led the many tributes to her on Thursday. He described her as a "bright star". Helen Joanne Cox first worked in politics after graduating from Cambridge University in 1995, but then built a career working for charities including Oxfam, Save the Children and the NSPCC. She went to Heckmondwike Grammar School and then became the first person in her family to go to university - reading social and political studies at Cambridge. After graduating, she worked as an adviser for the Labour MP Joan Walley and then Glenys (now Baroness) Kinnock. By the end of the 1990s she was head of campaigns for the pro-European pressure group Britain in Europe. She also took on further study at the London School of Economics. It's an over used word these days, but Jo was a star. She was brave, funny, and clever. In Westminster she was one of those rare people that whatever was going on in politics that day, however much backbiting there was, however many insults were being thrown around, the day was always improved if you bumped into her for a chat, a cup of tea, or heard her speak fearlessly and with compassion in the Commons. But a conversation with her was just as likely to turn to her young kids, or the family's houseboat on the Thames, as it was to talk about the latest political machinations. Jo was an MP who cared deeply about her party, and how politics can make a difference not just here, but around the world. But more importantly she was a mum, a wife and a daughter who broke into ready smiles when she talked about her family. That's what I'll remember. She told the Yorkshire Post that her experience at Cambridge "knocked me for about five years" when she realised: "That where you were born mattered. That how you spoke mattered... who you knew mattered. "I didn't really speak right or know the right people. I spent the summers packing toothpaste at a factory working where my dad worked and everyone else had gone on a gap year." After that, heading to Westminster proved to be "a walk in the park", she said. From 2002, work for charities took her around the world to tackle poverty issues and discrimination. During her extensive and senior work for Oxfam, she campaigned on issues including maternal mortality. A decade later she was a strategy consultant for Save the Children and then the NSPCC. That work was to influence her interests in parliament. "I've been in some horrific situations - where women have been raped repeatedly in Darfur, I've been with child soldiers who have been given a Kalashnikov and kill members of their own family in Uganda," she said. "In Afghanistan I was talking to elders who were world weary of a lack of sustained attention from their own government and from the international community to stop problems early. "That's the thing that all of that experience gave me - if you ignore a problem, it gets worse." In 2014, Mrs Cox was selected to contest the seat from an all-women shortlist and said she was "proud and humbled" to be the Labour candidate for the place where she was born. In Westminster, she was chairman of Labour Women's Network and a senior adviser to the Freedom Fund, an anti-slavery charity. When MPs' pay was reviewed, she said she would use the increase to in turn increase the donations she makes to charity. And she had spoken out on equal pay, railways and against reducing parents' tax credits. Labour leader Jeremy Corbyn described her as "a much loved colleague, a real talent and a dedicated campaigner for social justice and peace". "Jo was dedicated to getting us to live up to our promises to support the developing world and strengthen human rights - and she brought those values and principles with her when she became an MP. "Jo died doing her public duty at the heart of our democracy, listening to and representing the people she was elected to serve. It is a profoundly important cause for us all," he said. She was one of the MPs who nominated Mr Corbyn so he could take part in the 2015 Labour leadership election. Speaking about what Labour needed to do after their 2015 general election loss, she said they needed four things - an effective leader; not just to talk about the NHS; to appeal to middle Britain and regain the country's trust on the economy and have a strategy just for Scotland. But she criticised the leadership in the wake of local election defeats in May 2016, saying: "I think Jeremy needs to personally recognise that this isn't good enough. "He needs to take responsibility. We need to look very hard at what we've got wrong in the last eight months and put it right." In December 2015, Mrs Cox was one of five Labour MPs who abstained in the vote on air strikes against so-called Islamic State (IS) in Syria. The country was one of her main foreign policy interests and she was co-chair of the Friends of Syria All Party Parliamentary Group. She wrote of her decision not to vote: "My final hope and plea is, whether or not the government win this vote, that they take a long, hard look at revamping their strategy for civilian protection in Syria. "That in the weeks that come the protection of civilians becomes the central component in our plan. "In my view it is only when civilians are protected that we will defeat Isis (IS), and until that is at the centre of our plan, I will remain an outspoken advocate for that cause." Kellie Strom, from Syria Solidarity UK said she made a "remarkable and unique contribution" to British understanding of the issues around the war. "Her strong advocacy of clear policy options focused on civilian protection has provided a humane and intelligent alternative to both the isolationist and the narrow counterterrorist tendencies in the UK's policy debates on Syria," he said. Mrs Cox was married to campaigner Brendan Cox, and she had two young children. She divided her time between their constituency home, and her river boat on the Thames. On Wednesday, she tweeted a photo of her family taking part in the EU Referendum flotilla on the Thames, motoring a RIB up the river for the In campaign.